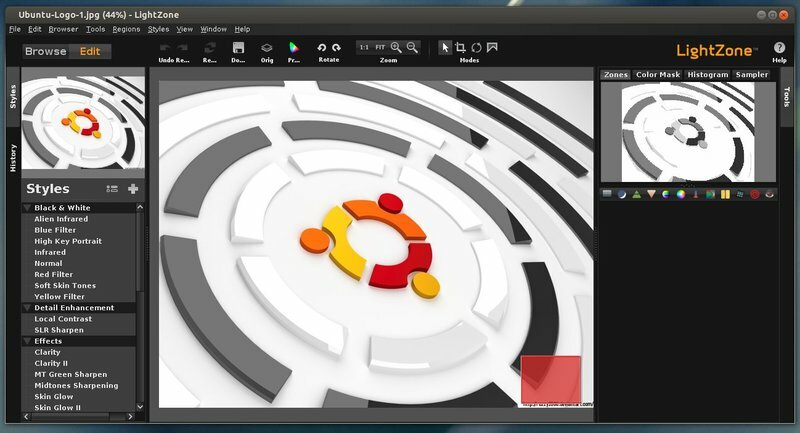 This simple guide shows how to install latest LightZone 4.0 on Ubuntu 13.04 Raring, 12.10 Quantal, 12.04 Precise, and Linux Mint from its official repository. 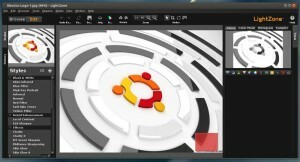 LightZone is professional-level digital darkroom software for Windows, Mac OS X, and Linux. Rather than using layers as many other photo editors do, LightZone lets the user build up a stack of tools which can be rearranged, turned off and on, and removed from the stack. It’s a non-destructive editor, where any of the tools can be re-adjusted or modified later — even in a different editing session. A tool stack can be copied to a batch of photos at one time. LightZone operates in a 16-bit linear color space with the wide gamut of ProPhoto RGB. edit both RAW and JPEG format images. has ability to create and apply pre-determined image transformations, called “styles”, to an entire batch of images in a single operation. It’s a non-destructive RAW editor. It treats the digital image original (typically a RAW file) as precious and non-editable. outputs JPEG files which contain metadata references to the original image file location and a record of the transformations applied during editing. 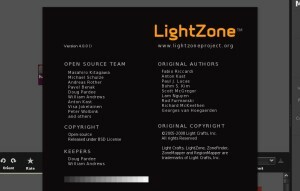 UPDATE: Thanks to Otto Meier, now LightZone is available in PPA for Ubuntu 14.04 Trusty, Ubuntu 13.10 Saucy, Ubuntu 13.04, Ubuntu 12.10, Ubuntu 13.04, Ubuntu 12.04 and their derivatives. Just run below commands one by one in terminal. sudo sh -c "echo 'deb http://download.opensuse.org/repositories/home:/ktgw0316:/LightZone/xUbuntu_13.04/ ./' > /etc/apt/sources.list.d/lightzone.list"
sudo sh -c "echo 'deb http://download.opensuse.org/repositories/home:/ktgw0316:/LightZone/xUbuntu_12.04/ ./' > /etc/apt/sources.list.d/lightzone.list"
For other Linux distributions, install LightZone photo editor 4.0 from the GitHub. It should work from Ubuntu Precise to Trusty and it’s appropriate derivates.